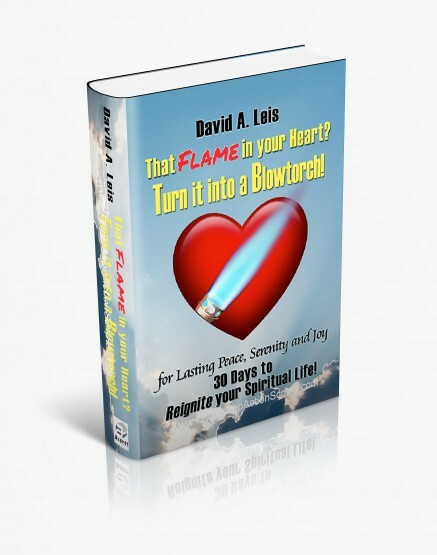 Foundations of an Interior Prayer Life | Turn it Into a Blowtorch! I have been asked many times about the practice of prayer and how to pray to nurture the interior life. In terms of a prayer life, it is the gateway to a dialogue of the heart. First and foremost, there is nothing more important for you to do in your life than pray. It is more important than eating or sleeping or even breathing. Only prayer will allow you to develop a relationship with Jesus. Good intentions or knowledge from reading about Him will not suffice. Only prayer will reveal what is in His Heart for you. Prayer alone will allow a relationship to develop and grow. Consistent prayer. Every day. Without fail. No matter what. Quiet prayer. Alone with Him. Centering prayer. Meditative prayer. Prayer of the heart. Listening prayer. 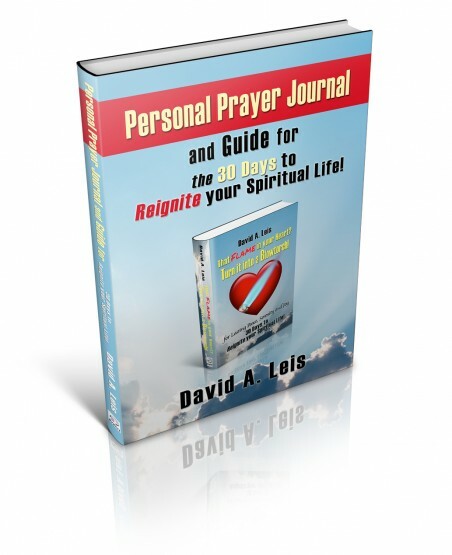 Developing an interior prayer life is critical to the life of every Christian. And it is not difficult. There is nothing here that any ordinary Christian cannot do. It is quite simple or I could not do it. The interior prayer life and a dialogue of the heart with Jesus is meant for every one of God’s children. It is meant for every soul on earth without exception. I remember being told about centering, meditative prayer thirty years ago by the late Fr. Francis Marino, one of the founders of the Anawim Community. Five minutes of centering prayer was my goal. Ten years later, in Medjugorje, the seers were advocating three hours of prayer a day! At that point, my morning prayer was normally an hour, but three seemed out of the question. Today, that is what I strive to do, though I am inconsistent as I try to balance work and the duties of being a single father. If I count, as they advocated, morning prayer, Mass, a Rosary, prayer while I am commuting (not the best quality time for it, but better than the radio), and nighttime prayer, then perhaps I am getting there. As a matter of fact, when I exercise, I tend to “run the Rosary” – I am not aware of how far I run, only how many Rosaries I run! Head down and focused, I can get totally lost in the interior dialogue during my running Rosaries. Try it! Again, not the best way to say a Rosary, but if you are exercising, why not pray at the same time? One other point Fr. Marino taught me: have a particular place, a chair, a reading spot in your home, that is reserved only for prayer and spiritual reading, if possible. I do have it. It is a ratty old easy chair with a foot stool that is out of date and ugly. It should have been thrown out twenty years ago, but it is comfortable and it’s my place. I am there every morning no matter what. I typically spend 1-2 hours there, but have spent as much as 8 hours. So to me, the foundation of an interior prayer life starts with centering or meditative prayer. There are lots of good resources to guide you. And the subject of the start of my meditative prayer is the daily Liturgy, the scripture readings for the day, the Heart of Mother Church as she forms us. How often I have discovered that the grace which I needed for that day was contained within the Scripture readings for Mass that day. I have even encountered many of my Protestant friends who use the Catholic daily Mass readings for their meditations. A great resource for Scriptural reflection is The Anawim Way: Pondering the Word published by the Anawim Community. www.anawim.com Besides the readings, it contains a very simple, straightforward meditation and questions for reflection. It is a great resource for the everyday Catholic (or any Christian for that matter). More widely known is The Magnificat. Though it does not have the questions for reflection, it does have good articles. www.magnificat.com And of course, the readings for the day can be easily found on the internet. The second part of my prayer is centered on the materials from Direction for Our Times as mentioned in the Introduction. www.directionforourtimes.org Without fail, I read the monthly message that Jesus has sent to Anne, which they distribute by email or you can get in book form. I read it every day, over and over again, for the entire month, for a reason. Like anything we learn, repetition makes it stick. Re-reading the message of Jesus every day makes it sink into my subconscious until it becomes a part of the fabric of my being without me having to think about it. Very often, a sentence that I read previously without particular notice will leap off the page and hold me, sometimes for a very long period. And of course there are the Volumes as well as all the other materials from DFOT (as it is called), which I use for meditation. I recommend reading other things Anne has published. The “Heaven Speaks” booklets precisely address many of the conditions humanity finds itself in. The books by Anne on Heaven, purgatory, and holiness are worthy of meditation. There are, of course, many other great resources for one’s prayer life, but these are foundational for me. I could not stop without mentioning the Liturgy of the Hours or Divine Office, which has traditionally been the prayer of the clergy throughout the world. It is now widely used by the laity. Published by the Catholic Book Publishing Corp., the set with user guide is readily available from many sources. And finally, the ultimate support for the interior prayer life is daily Mass as well as Adoration. Taking within yourself His Real Presence has no equal. Being in His Real Presence in the tabernacle has no equal place on earth. Making the effort to avail yourself as often as possible brings huge dividends which only He can and has promised to supply. The interior liturgical life for me has been supported by Sunday Mass at my parish, but also frequent daily Mass at the Shrine of the World Apostolate of Fatima, which is very close to my house. There the liturgy and the homilies are true to the teachings of the Pope and the Magisterium of the Church. Finding a parish that is true is critical, even as I acknowledge that any validly performed Mass contains all the graces and benefits available in any Mass. Still, finding clergy and a homilist grounded in the truth of the Church’s teachings is absolutely requisite to knowing the Way, the Truth, and the Life, which is Jesus. No compromises of today’s pop psychology, which has so permeated parts of the Church, can or should be tolerated. I have been in parishes where pleasantries and very humanistic homilies and ministries were the norm. They are dangerous to the spiritual life. I am sorry, I cannot soften the truth. “Feel goods” will join the wide and easy path to hell, as Scripture says. The way to Heaven is narrow. This is a very high-stakes game: Eternal life. I want a preacher who will make me uncomfortable in my pew. I know my nature, and it is weak and prone to veering off-course with pleasant sounding ideas. I need and desire constant course corrections. Being offended by piercing truth is good for my soul and an antidote to my normal, prideful, lazy self. I cannot end without this last comment. Frequent Confession, no matter what one thinks of the practice, no matter how long it has been, no matter how “bad” the confessor is, done in the humility of obedience and with faith, will have absolutely remarkable effects. Today even many Protestants are discovering the value of using a confessor. See Days 13 and 21. (It is true that not all priests have the charisma of being a “good” confessor. That does not take away from the effectiveness of the sacrament received in faith. Go anyway. Finding a good confessor or spiritual director is very helpful, though, if you can.) Confession will clear away the debris of sin and open the soul to the healing graces of the Savior like nothing else can. John Paul II said that those who frequently go to Communion should frequently go to Confession. Good guidance. Receive Him in a state of grace. Or not, at your eternal peril. These, then, I think are the foundations of an interior prayer life as I have come to know them. There are many more, but this is a start. Fill the hearts of Your faithful! And they shall be created! And You shall renew the face of the earth with Your Love!